Looks like it's lots of ramen this month. I think I need this. 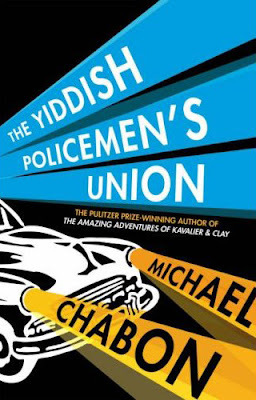 Michael Chabon's alternate history of the Jewish state: Israel does not exist in the Middle East because Europe's Jews have moved to Alaska. Don't laugh: this is based on a plan hatched by Harold Ickes, FDR's interior secretary. The US edition (top) looks great and makes sense to me. It immediately says Pacific Northwest / Alaska. I don't get a sense of anything from the UK cover (below). You're write -- the first one establishes setting better, but the second one is really striking! I like them both a lot. I dunno. If the spines are anything like the images from the top, I vote NO. Too busy for the eyes. That's my obsessiveness with clear, distinct and readable spines showing through again. Subtitles are great, but the original title shouldn't have a lot of extra visual distractions around it. IMHO and personal preference. I think it has to do with the fact that an Alaskan design would be pretty identifiable to the everyday American, but not to the everyday Brit. 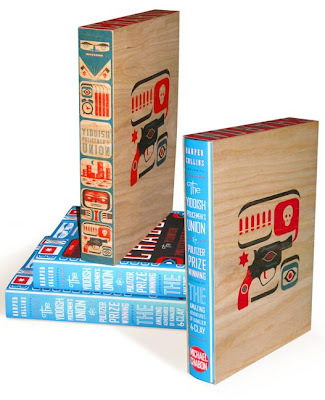 The cover smacks of Chris Ware-ness, which is a great thing when Mr. Ware is involved. These are just awesome! Not enough good things can be said. The colors and art etc are all dynamic, solid and visually engaging. These are terrific. The details in the art the old-school typographic treatments and bold, centered presence—all weave in together with the superb color choices to create a very compelling piece. This can work equally well as a poster too. I know I would like one. It seems like it would be a comic book. i need one of those limited edition copies! yes, "need!" Agreed. 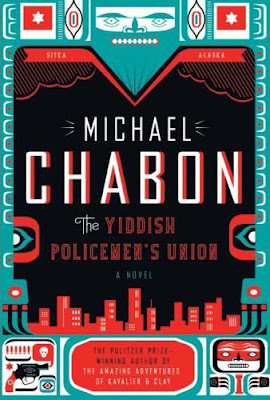 The US cover is so unique – it has a wonderful personality. It's not at all what i would be typically attracted to, and that's part of why I like it. The UK cover seems a mess, to me. It's a trend I've been seeing a lot lately: skewing about the typography as they did. It leaves me with a bit of a foul taste in my mouth. The screen print box is just way cool! Finally, a U.S. cover that kicks the U.K.'s. This is one you've gotta see in person; it's more of an object than a "layout". It does something in person that just doesn't translate on screen. And not to diminish from the mount rushmore sized genius of the man, but Chris Ware only does "Chris Ware." Will Staehle is doing something far more subtle here. It's beautiful, thoughtful, and ultimately quite funny. Ware's genius is OCD monologue. But Staehle is in a dialog, (in this case with the many competing associations and visual languages of the author's creation,) and it's a much more daring and risky thing which he has pulled off. Great to see a cover that is as much an accomplishment as the book within. The cover image is very striking -- nice combination of Northwest Coast native design, especially Haida (strong sophisticated stuff) and Tlingit, with the plot referents. I find that it immediately set up my expectations. Seattle bookseller University Bookstore had a big display set up with a large blowup of the cover that was very effective. That fancy slip cover looks great too.